The CCP’s betrayal of the so-called ‘One China, Two Systems’ approach in Hong Kong is a reminder why they must never be trusted. 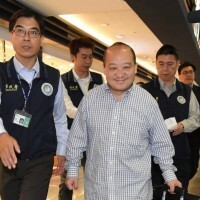 The move by the Hong Kong Government to ban opposition lawmaker Lau Siu-lai (劉小麗) from running for office is a stark illustration of the erosion of democracy and freedom of speech currently taking place in Hong Kong. It should also serve as a reminder to the people of Taiwan of how China’s 'One China, Two Systems' policy will actually work in practice. When Hong Kong was handed over from the UK to China in 1997, it was on the basis of an agreement which guaranteed the people of Hong Kong a further 50-years of democracy before the affluent city-state was fully subsumed into Communist China. We are now less than half-way into that period, and yet effective democracy already appears to be a thing of the past in Hong Kong. 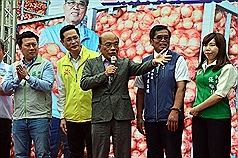 Lau Siu-lai is not the only opposition legislator to be denied the right to run for office. In 2016, she was one of six elected members who were denied their right to sit on the Legislative Council of Hong Kong (LegCo) by the courts after refusing to give an oath which declared Hong Kong as part of the ‘People’s Republic of China’. She has now been refused the right to run for office again on the grounds that her independence advocacy is deemed in breach of Hong Kong’s basic law. It is a highly controversial decision that also sets a convenient precedent whereby anyone who supports Hong Kong independence can now be deemed automatically ineligible to stand for office. The inevitable result of this law is that the supposedly democratic and representative LegCo is stuffed full of pro-Beijing legislators and primed to pass whatever laws the CCP ask of them. This is far from the only example of the CCP’s relentless attacks on the democratic rights of the people of Hong Kong. They gave a guarantee that the 2017 election of the Chief Executive of Hong Kong would be free, fair, and by universal suffrage. But all the candidates for the role were hand-picked by the CCP and all were pro-Beijing. 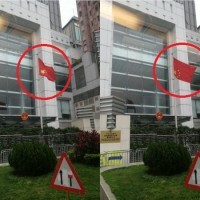 The Hong Kong National Party, which advocates independence, has been banned completely, while those who publicly speak out against the CCP are derided as ‘terrorists’, separatists, and traitors to the Chinese nation. These are all terms that will be familiar to anyone who has read about China’s brutal oppression of the Uighur Muslim population in Xinjiang Province. They are also often used against those who support Taiwanese independence. The increasing presence of Chinese security forces in Hong Kong has already made ordinary people fearful of speaking about democracy, human rights, and any other topics which could be seen as critical of the CCP. The abduction of the Hong Kong booksellers, who had the temerity to sell books critical of CCP leader Xi Jinping, is just one example of the sort of reprisals that people have come to expect in Hong Kong, if they say something out of line. Control-by-fear is a classic population control method used by all authoritarian regimes, but none more effectively than the CCP. At the same time, the CCP has begun systematically changing Hong Kong’s law, constitutional framework, and civil society to suit its own ends. Concepts such as civil liberties and an impartial justice system are already a thing of the past there. Banning Lau from running for office is just the latest example and should remind the people of Hong Kong that things are not going to get better under the CCP’s rule. In fact, things are going to get significantly worse. With every step China takes to bring Hong Kong under the authoritarianism of the Communist Party, it is pushing Taiwan further away. Every move to undermine democracy and freedom in Hong Kong emphasizes just how the CCP sees the ‘One China, Two Systems’ policy will function in Taiwan. It is essentially a ruse to try and con the Taiwanese people into signing over their freedoms with a series of false promises. 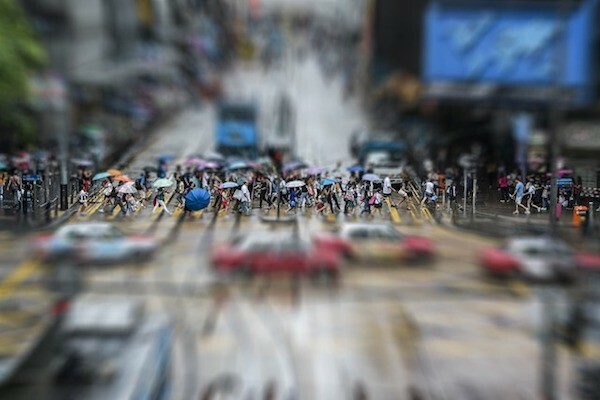 The people of Hong Kong had very little say in their city-states return to China. The deal was made between the Chinese regime and the British Government, which held sovereignty. It was something Britain had little choice in as their sovereignty was on the basis of a 99-year lease signed under the Convention for the Extension of Hong Kong Territory in 1898. The CCP had no intention of extending this lease and Britain didn’t want to get involved in a sovereignty dispute with the world’s biggest growing economic power. The ‘One Party, Two Systems’ approach was designed to make the handover of Hong Kong appear more palatable to the British side, who were reluctant to hand British citizens directly over to a Communist regime. Since the handover, the CCP has made it abundantly clear that they have no intention of sticking to the agreement and have made regular statements claiming that it is not legally binding and dismissing all criticism by the British and the international community of this as ‘interference in Chinese internal affairs’. 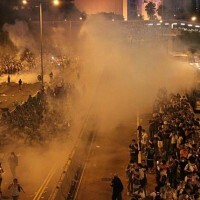 While the Hong Kong people had no choice, the Taiwanese people absolutely do. And they also have the advantage of seeing how a ‘One Party, Two Systems’ agreement with China would work in practice. The current state of affairs in Hong Kong should be fuel to undermine the arguments of anyone in Taiwan who advocates unification with China. Do the Taiwanese people really want to sacrifice the democratic freedoms they have fought so hard to achieve? Do they really want to come under the control of the brutal Chinese Communist regime? Far from contemplating such a unification, Taiwan should be actively supporting those victims of the arrangement in Hong Kong. The Taiwanese Government should be helping to support the principle of democracy in Hong Kong and actively seeking to hold the CCP to its obligations there under international law. Furthermore, Taiwan should have an open-door policy for all democracy activists in Hong Kong seeking political asylum here and desiring to carry on their work to free Hong Kong from the shackles of the CCP, in safety and without fear of reprisals. Lastly, there should be a proactive effort by the Taiwanese Government to ensure that the people of Taiwan are kept fully informed of the systematic erosion of freedom and democracy in Hong Kong by the CCP and enable them to make informed decisions about Taiwan’s future relations with China. Support in Taiwan for unification with China is almost all built on ideology and ignorance. 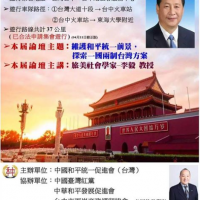 By making sure the people of Taiwan know the truth about how the CCP works and what a ‘One China, Two Systems’ policy really looks like in practice, the Government can ensure that Taiwan never finds itself on the same grim path as Hong Kong.